The Settlement Exhibition and Volcano House will appeal to museum buffs. Your cultural itinerary includes sights like Thingvellir National Park and The Settlement Center. Venture out of the city with trips to Viking World (in Keflavik) and Spas & Wellness (in Grindavik). Next up on the itinerary: take in the architecture and atmosphere at Hallgrimskirkja, take an in-depth tour of National Museum of Iceland, look for gifts at foa, and don't miss a visit to Laugavegur. For photos, traveler tips, more things to do, and other tourist information, refer to the Reykjavik trip builder. Dubrovnik, Croatia to Reykjavik is an approximately 11-hour combination of flight and bus. You can also do a combination of car and ferry. Traveling from Dubrovnik to Reykjavik, you'll gain 1 hour due to the time zone difference. Prepare for much colder weather when traveling from Dubrovnik in August: high temperatures in Reykjavik hover around 16°C and lows are around 9°C. Cap off your sightseeing on the 29th (Tue) early enough to go by car to Vik. Discover out-of-the-way places like Reynisfjara Beach and Skogafoss. 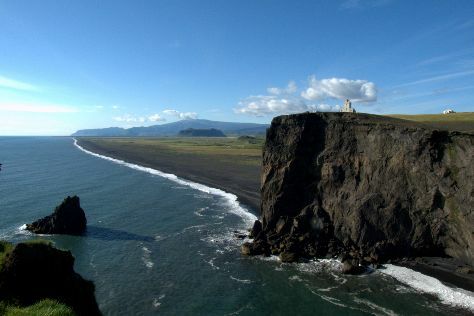 Visiting Dyrholaey and Sólheimajökulll will get you outdoors. There's much more to do: kick back and relax at Black Sand Beach, get engrossed in the history at Skogasafn, pause for some photo ops at Voyages Friendship Statue, and take in the dramatic scenery at Seljalandsfoss. To see traveler tips, more things to do, reviews, and tourist information, read our Vik tour planner. Traveling by car from Reykjavik to Vik takes 2.5 hours. Alternatively, you can take a bus. Finish up your sightseeing early on the 31st (Thu) so you can go by car to Geysir. Kick off your visit on the 1st (Fri): take in the dramatic scenery at Gullfoss, take in the natural beauty of Strokkur, then have fun at Fridheimar, and finally relax and rejuvenate at some of the top local wellness centers. For where to stay, more things to do, maps, and tourist information, use the Geysir trip builder. You can drive from Vik to Geysir in 2.5 hours. Alternatively, you can take a bus. Expect a daytime high around 14°C in August, and nighttime lows around 11°C. Cap off your sightseeing on the 1st (Fri) early enough to travel back home.